Lee has worked in the building and real estate industry since he was about 15 years old when he started framing houses during the summer. At 18, he received his real estate license and by 21, was an associate broker at an Aiken, S.C. real estate firm. About 15 years ago, past clients began to call Lee's family's construction firm to add sunrooms, garages and screen porches to their homes. As a result and after over 30 years in the business, Lee decided to form Graybeal Construction & Design. He stills builds and remodels homes with his stepfather, Jim, in both Georgia and South Carolina. So, whether it be a new home, deck or screen room addition to an 'extreme home make-over,' Graybeal Construction & Design can do it! Lee's business background, combined with his artistic talent, provide the perfect balance to complete your new home build or custom remodel project within your budget. He stays abreast of current trends and continuously researches new materials and styles to remain on the cutting edge of construction and design. Lee takes a personal interest in each project and will work closely with you from design to final material selection. 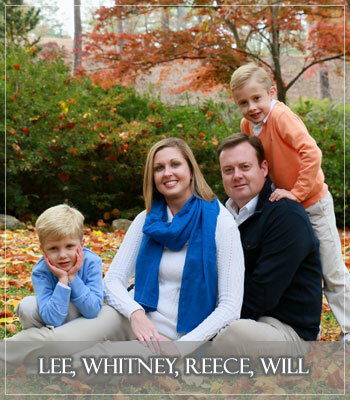 Along with his wife, Whitney, and sons, Reece and Will, Lee resides in North Augusta, S.C.